Robert Mugabe and Grace Mugabe seen here looking stressed with the happenings leading to their downfall.Grace looks very humble while Mugabe appears to be sleeping.How life changes. Some Zimbabweans including police officers could not wait and started removing Mugabe’s portraits from their walls. ?? 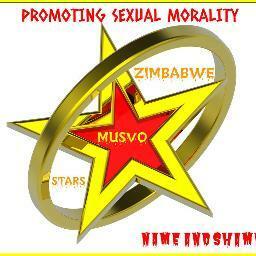 Desist from Baboon Activism fellow Zimbabweans. Hoping you are all doing ndizvowo. All non government offices or companies that are still hanging Mugabe’s portrait will remove the portraits when the right time comes. Why not just forcibly remove from government offices if you have run out of patience, unless it is a publicity stunt. Firstly, removing Mugabe’s portraits from hotels should never be your struggle unless you have no bigger struggles. Secondly, those portraits were officially mounted by those companies such as hotels and will be officially unmounted . Why anyone would tresspass and engage in vandalism in company buildings boggles my mind. Thirdly, some individuals not hotels can actually decide to keep the portraits as part of their museum collection and you are forcing them not to do so because you instilling fear in those in possession of the portrait. 4. In any struggle we need to know what our struggle is about or else we lose the plot.